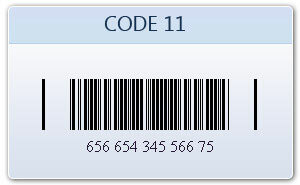 Code 11 is a barcode symbology developed by Intermec in 1977. It is used primarily in telecommunications. The symbol can encode any length string consisting of the digits 0-9 and the dash character (-). 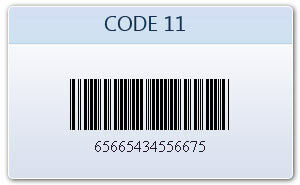 One or more modulo-11 check digit(s) can be included.With the help of barcode software you can easily create barcode labels/stickers/tags/coupons in your own style. 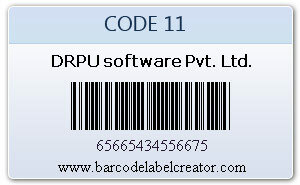 Bar coding system easily makes 1D Code 11 barcode (also known as USD 8 code) in few steps.